The dinar is the most lied about currency I have ever seen. This in itself should raise a big red flag. To really understand what is going on with this currency you need to hear my story. As I share with you how I got involved with this venture, it is my hope that I will expose the myths and establish the facts concerning the revalue. It all started for me back in the summer of 2009. I had lost faith in my 401k due to the financial meltdown that occurred in 2008. I was looking for other investment opportunities. I had stopped my contributions to this flawed retirement policy. I knew I had to save or make money by some other means. In August of 2009 I attended an online seminar conducted by Jerry Robinson. I knew him personally and he is a reputable economist. He talked briefly about foreign currencies. So I began to research these currencies. That is when I stumbled upon the dinar. There where sites that said it was a scam and there were sites that said it was a real investment. I did find a few scams regarding this currency. I found people selling the old dinar with Saddam’s picture on it. I found people selling dinar but they have never shipped orders. Even though there were a few scams out there, as far as I could tell the dinar itself was a real currency that was used in Iraq. The dinar in itself was not a scam, but there were people who found a way to misrepresent it and steal from unsuspecting victims. Around the last part of November in 2009 the online trading screens change after trading hours and the dinar jumped up to $1.49 for about 6 to 8 hours. This rate was right below the Euro. Then it went back to the posted 1170 to a dollar rate. In my research I saw how the currency moved and how it was going up since its release. Back in 2010 you could get dinar at the local banks. You could exchange dinar there too. In January of 2010 I decided to make my first purchase and I was only going to buy a very small amount. I bought my dinar from Dinar Trade. At that time Dinar Trade was probably the number one dealer. It was run by a guy by the name of Ali. I also got a better deal than what I would have got using the banks. I read through a few forums and some people seem to think that this currency was going to revalue at any second and you should buy it before the election. After the winner is determined then the revalue will happen. At least this is what people suggested. They really didn’t know. So I felt a sense of urgency to buy this currency. There were two front-runners for the election Maliki and Alawai. I told a few people I work with about this investment. They bought dinar as well. They told all their friends. It wasn’t long before my phone was ringing off the hook about the dinar. All kinds of people I did not even know were asking me questions about what I read. My phone number was given to friends of friends. It is important to note that I knew squat about currency and revalues at this point, but I began to believe the dinar could revalue and the major risk was behind us. My friend Jerry encouraged me to start a blog and talk about my findings with this currency. I started Iraq Currency Watch in February of 2010. I knew nothing about blogs, and I knew nothing about the currency. I just put the basic information up there and answered the most basic questions that I got asked all the time. Things like don’t buy the dinar with Saddam’s picture on it. I also would read and I tried to analyze articles from Iraq. Now when people called I referred them to my blog. Eventually the phone stopped ringing all together. The blog was a success. It seemed as though for a brief moment I had my life back. Little did I know it was just the calm before the storm. Then I read 3 articles towards the end of February that made me up the ante. Maliki said the dinar will revalue before the end of 2010. 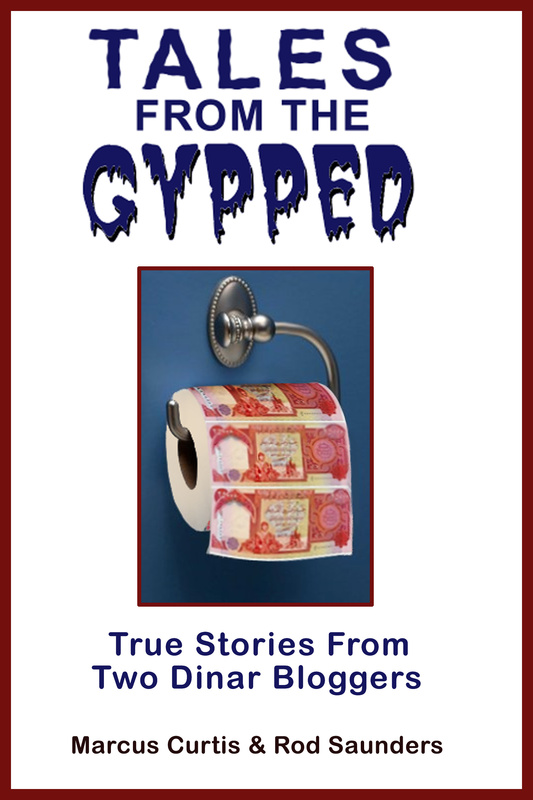 It seemed the cat was out of the bag and all 3 articles said the dinar would revalue. I bought a lot more dinar. The elections were just around the corner and it seemed that once this part was done we would see the Revalue of this currency. Furthermore when I looked up the rate on Forex it said that Iraq had announced plans to revalue their currency. I began reading everything I could about the dinar. I saved hundreds of links. I read that Kuwait revalued its currency after the invasion by Iraq. Then shortly after that they redenominated. Everyone who bought Kuwaiti dinar cleaned up. I also read about how the dinar will be sold for oil. I read that the CBI was pulling 70 percent of their dinar out of circulation to prepare for the revalue. I read that the lower denominations were already printed because of provisional order 43. I also read the dinar will revalue over $3.00. Now I was starting to get excited. Some of this stuff was in the forums and some I got from articles that were coming out of Iraq. I heard the term reinstate for the first time. Some guy named Frank26 said this currency was going to reinstate. This meant that a currency would reinstate to its previous value. I even read that the revalue of the Iraqi dinar was part of biblical prophecy. Being a student of prophecy I found this thought interesting. The election came and went in March with no clear leader. This frustrated everyone because most people thought this would not happen until after the election was over and a winner was chosen. By the end of March no one knew who the new prime minister would be. By the end of April people still did not know which one would obtain the prize of prime minister. By the end of April I had 206 hits on the blog for that month. The stuff I read in the forums and the stuff I read in news articles made me buy even more dinar. Then something happened to me in the spring of 2010. I got hurt on the job. I could no longer work. In addition to this I could not work overtime. I had gigs outside of work I did for money. I could no longer do those gigs and I lost those Jobs. Throughout the rest of spring and the whole summer I was out of work and I could do nothing physical until I recovered. So now what do I do? money was tight. I decided to work on my blog and read news articles. I also needed to know what I was talking about so I started to research money. I researched the history of money. I learned things like the United States had a total of 3 central banks in its history. The first two only had 20 year charters and they were failures. I learned that Lincoln created his own money called the green back. I learned how we got money today and where it came from. I learned how money works. I learned how it expands and contracts and I learned the difference between fiat currency and currency that is backed by gold. I learned about modern money mechanics. Of course I wrote about all this in my blog. In May of 2010 Iraq announced that it is going to redenominate its currency. Forex change their notice from revalue to redenominate. The new notice said Iraq has announced plans to redenominate their currency before the end of the year. I first thought great!!! I could have really used that extra money I spent on dinar. So much for reinstate! But as I began to dig in and research articles coming out of Iraq, some articles said they would redenominate and some articles said they would not redenominate. People developed a smoke and mirrors mentality. but know one could tell what was the smoke and what was the mirrors. This sparked great debates in all the forums. Some articles said that Iraq was only going to pull the 25,000 and the 10,000 notes out of circulation and replace those with 10 and 25 dinar notes.. Some articles said that Iraq was only going to delete the notes with three zeros. One thing I knew through my research was they could not just pull the higher end notes out of circulation and release a new series.This piece of information led to a rumor that circulated. Someone said that it is safer to buy lower denominations and this will protect you from a redenomination. Nothing could be further from the truth! In a redenomination the whole series is changed out. They had to replace the whole series in order to redenominate, and yet the process described in the news articles was not one of redenomination. For example, they could not put a 25 dinar note into circulation and have it be worth more than the 250 dinar note. If they are only pulling the notes with 3 zeros like the news articles said then they could not do this because it would invalidate the 50, 100, and 250 dinar notes. This made the idea of a revalue more plausible. It also gave credence to the smoke and mirror theory. But in the end no one knew what they were talking about. Even the guys writing articles in Iraq made stuff up. Of course this did not dawn on us until much later.The summer drifted on with really no new information. There was very little activity. Throughout the whole spring and the whole summer no one knew who the prime minister would be. The articles that came out of Iraq were just ridiculous. Some sided with Maliki and some sided with Aliwai. All kinds of rumors were floating around about those two men. I continued to spend all my time learning about money, and learning about how money works. I would speak out against stupid articles and the authors that were writing rumors about these two candidates. It never dawn on me how dumb it was to analyse news articles that were constantly lying to you as though there was some hidden information about a revalue or a redenomination or even who the prime minister would be. Then towards the end of summer I discovered the petro-dollar. I learned that we went off the gold standard in August of 1971. I learned that the dollar was backed by nothing and every currency in the world that held dollars in their reserve became a fiat currency. Fiat means faith-based. In other words the currency only has value because people believe it does. Just because the currency bought something yesterday made people believe it will buy something today, and people believe it will buy something tomorrow. But when too much currency is in circulation hyperinflation goes into place and the perceived value changes. People lose faith in the currency. I learned that when we went off the gold standard not only did we make our currency a fiat currency, but we tied almost all the world’s money to a fiat system as well. Oil replaced gold as a means to back currency. We set up agreements with OPEC and other Arab nations. We told them that we will protect them with our military and make them rich. The only thing they had to do is sell their oil using only US dollars. Since oil could only be sold in dollars this meant a demand was created for our worthless fiat currency because other nations needed it to buy oil. This was the thing that set up the entire global economy we have today. In 2000 Saddam change from selling oil from dollars to euros. Shortly after that we made invasion plans. The first order of business was to change it back to dollars again. The United States made it a top priority. Oil drives the economy because oil backs our dollar. This is the real reason for our involvement in Libya. If oil is sold in anything else than our dollar then that threatens our dollar. This means that the United States will not use Iraqi dinar to buy oil because it will threaten the global economy. All they need to do is print more money to buy all the oil they need. That was the first lie I exposed about this currency. Dinar will not be used to buy oil. I wrote about this in August. People began to copy and paste parts of my blog into forums around the dinar community. I really did not care. This caused my readership to skyrocket. I went from 10 to 50 hits a week to 800 a day. Then it went to 1500 hits a day on average. I joined Dinar Vets to defend some of my posts that were being copied and pasted in that forum. I got into a debate with someone named Dustin. As I began to research and give the reasons why the currency will revalue and not redenominate I discovered that all the News links I had about Iraq’s announcement to revalue had vanished. They were nowhere to be found. They were all removed. I had found articles that used revalue and redenomination interchangeably as if they had the same meaning. So I began the debate talking about oil. Most of what I said can be found in this article. My argument for the redenomination was weak. Everything I had on the revalue was removed from the internet. All my evidence was gone. My evidence was from the same news organizations that were lying about who the next prime minister would be. The only thing I could say was if they redenominate they need to change out the entire series not just the high notes. I also pointed out that there are just as many articles that say there will not be a redenomination. There are no articles that point out they are replacing the series. In the end we agreed to disagree. The cork came out of the bottle in the fall. Obama had announced he was bringing the troops home and ending the war in Iraq. The funny thing was he left 50,000 troops over there and this was compliant with the Status Of Forces Agreement (SOFA) we had with Iraq under George Bush. When this happened we saw some real movement. Iraq was removed from being a terrorist nation under the OFAC list. (Office of Foreign Asset Control) They got their swift codes for banking. In November Maliki was chosen as the prime minister. It set a record for the longest time it took to decide an election, and in December 15 of 2010 Iraq was removed from almost all the sanctions. They still held money in the DFI fund for Iraq and that was not going to be released until 6 months later. We had until the end of 2010 to see the revalue. We just all knew we were going to be rich any day now. They had to honor their debt with the Paris club, and they needed to revalue to do it! Here it comes!! here is the Revalue!!! Oh my God…. any moment now…. any day!!!! I can’t breathe!!! OH MY GOD!! We are going to be rich!!!!! January 1st there were a lot of people wondering just what happened. Even though those articles were removed way back in February talking about the revalue of Iraq’s currency before the end of the year. We all remembered them. As I was scratching my head I started writing about money and all the things I learned over the summer. I wrote a piece that I called the Rabbit Hole. It was a 5 part series. After writing that my readership soared to about 4,000 people a day. My highest day was 5,820 people. For the month of January I had 35,110 hits. Not bad for a blog that just started out to answer a few questions. This Rabbit Hole series explains the financial meltdown of 2008. It tells you who is responsible and why it happened. It talks about the Exchange Stabilization Fund. It explains how the US treasury used this to confiscate gold that belonged to American citizens in the 30’s. It also explains how the treasury uses ESF to control the Federal Reserve. It explains the rise of the globalist and the New World Order. It shows how the stock market is rigged. It reveals all kinds of things related to currencies and how it is used to control nations, Governments, and people’s around the world. If you have not read this series yet you should. Here is a link to get you started. It is simply amazing to me how money works and how it is used. Most things written about money from economist are boring and labeled with terminology that is designed to bore and confuse the masses. Strip all that away and you see a major beast emerge, and you see an oligarchy of men controlling it. I continued to post about world economics all through the spring and into the summer. I averaged 4,000 people a day. I got email and comments from people who just wanted to hear about the dinar. They wanted me to stop writing about global economics and focus only on the dinar. The problem with this is you can’t understand one without the other. The more you know about global economics then the more you will know about the dinar plain and simple!! If you limit yourself in this one area you will not get the big overall picture. This is just one of the reasons that led me to close down Iraq currency watch and start another blog called Biblical Views And World Economics (BVAWE). So in July of 2011 I announced I was going to close down Iraq currency watch. I moved all the articles. I was afraid that if I gave up the name then some pumper/guru would come and take it over and pretend to be me. They would give bogus information to hype sales. So I kept the blog, but I just removed everything except one conference call with my good friend Scooter. I updated the articles and updated the links to a different series of links that work. I have written and combined posts. I never gave up the name Iraq Currency Watch. I just removed all the content. In the next post I will tell you the other reasons I shut down Iraq Currency Watch, and I will tell you why I am bringing it back. By the end of that article you should understand enough about the dinar to make an informed decision. I will write this article as fast as I can! I promise!!! The 25K to 1k notes and their new denominations will be worth the same as before. 25 Dinars will have to be worth the previous 25,000 dinars. But what about the 500/250/50 Dinar notes? These three notes are in my opinion the biggest problem. 500 Dinar note= 5 Dinars(that will make no sense because the 5K note previously is now the new 5 dinar note in re-value). 250 Dinar note= 25 Dinars(that will make no sense because the 25K note previously is now the new 25 dinar note in re-value). 50 Dinar note= 5 Dinars(this too will make no sense because the 5K note previously is now the new 5 dinar note in re-value). I think in order to resolve this issue is to mint coins that are lower in denomination than the 1 Dinar note re-placing the 1 K note if they lop the three zero’s. The new coins will replace the 500/250/50 dinar paper notes. The 500 dinar note will be replaced with a 1/2 dinar coin. The 250 dinar note will be replaced with a 1/4 dinar coin. The 50 dinar note will be replaced with a 1/20 dinar coin. I think they had these denomination notes/coins in the 1980’s if i’m not mistaken? Eitherway if they RV/RD their money it will show up as a lot less money circulating in the economy and this will curtail hyper-inflation and that is good news for them? As it turns out I am writing about right now. This very thing is in the next post. I got hung up on this very thing and this is the reason why I stayed in this investment for 2 years. The short answer is they will replace all the currency. There will be no 250 note or 500 notes. The whole series of currency will be discontinued and a new ISO number will be issued. All the currency they have now will be gone. Details on the mechanics of this are coming in the next post. I invested in IQD back in January 2008. Like you I hope it will RV/RD. I have read alot here on this blog and else where. I just want to commend Mr.Curtis for his deligence. I am not an economist. But the bottom line in all of this is based on the information that Mr.Curtis and others are recieving and learning about. This information will formulate our opinions and convictions on the matter. Does anyone here really believe everything our governments say? Are we also to believe financial banking institutions and their spokes persons? Does anyone believe what the IMF/CBI and GOI tells the public? Mr.Curtis you are going by information that you back up that’s great. But what happens Mr.Curtis if even the information your finding had been manipulated? I hope your wrong and I hope your right? Why did Illuminati terrorist George Bush jr. say that this war with Iraq would pay for itself many times over? You should keep reading because this very statement is addressed in part 2. The truth will come out with more detail. Links are provided. There are so many lies regarding the dinar it is hard to tell who is telling the truth. In order to remain objective I decided in January to treat everything as a lie. Good or bad unless it can be verified it is a lie. If it cannot be verified it is not intel. I started to look for the sound bite. I looked everywhere but I could not find it. I found that the bush administration actually said that revenue from oil sales would help rebuild the nation. Oil is sold in dollars. Chris Mathews on MSNBC ran with this and said the administration said the war would pay for itself. He should call his show Lie-ball!!!! However, Fox news is no better. I did find an interview with Carl Rove who said bush never said that. If bush actually said that then the sound file would be played on MSNBC over and over again because it furthers their agenda, but they don’t have the sound bite. It is not in any record of any speech he ever gave. Details and links are in the next post. Are we going to make money? And how long will we have to exchange our dinars to dallors? Do you think it will be over 1.49? The agreement between the IMF and the Government of Iraq, and Central Bank of Iraq (CBI), which are 2 different entities, was set years ago and established and set a stable currency, the Iraq Dinar, at 1170 per dollar. Locked at that rate. Period. Not moving. The stability of the Iraq currency is essential, per the agreement, for the long term development of the banking sector and private financial and business markets within Iraq. The World bank and the IMF are overseeing the long term structure building of Iraq’s economy, and the stabilization of the currency is key. Also critical, per the agreement, is the independence of the Central Bank of Iraq (CBI) from the government. The CBI is solely responsible for any decision related to banking and currency. Those of you watching every Iraq government meeting thinking it had anything to do with the currency revaluing are very mistaken. The agreement is called the “Stand By Agreement” (SBA) and is between the Iraq Government, the Central bank of Iraq and the International Monetary Fund (IMF). The Agreement has been extended to July 24, 2012. On March 3, 2011 a ‘Letter of Intent’ was issued from the Director of the Ministry of Finance (Iraq) and the head of the Central Bank of Iraq, to the Managing Director of the IMF. Iraq requested an extension of the Stand By Agreement five months to July 24, 2012. This was spoken again in March 2012 in a press briefing by the IMF. I did verify with ‘real’ sources, Bloomberg and others, that an agreement has been reached with Kuwait on reparations from Saddam’s invasion. The head of Kuwait and the UN secretary General were in Iraq for the Arab Summit. This is good news as far as the lifting of the UN sanction possibly in June. But it all comes down to the Stand by Agreement with the International Monetary Fund. The SBA dictates the Iraq Dinar at a value of 1170. Until the IMF supports a revalue, it won’t happen. It doesn’t matter all the other factors you hear people talking about, and chatter you hear. The SBA is extended until July 24, 2012. What happens then is up for prayer. Much depends on the growth and development of the banking structure and financial markets. It could be extended another 2 years, or it could be fall 2012. Don’t take this date to mean a ‘revalue’ will happen on July 24. It’s just a start of a decision date. So, now you all can shut down the ‘dinar chat lines’ on your computer and get on with your life. You don’t even know my position on the Revalue of the Iraqi dinar. There is a reason why this says part 1. Part 2 is being worked on now. A story is unfolding here be patient. For all you know you may be stealing my thunder here. You are entitled to your opinion of course. I only hope you’re not so dogmatic about the dinar revalue that you totally miss the reason for this post or what the overall points are. Even if I subscribe to your point of view there is no way you can guarantee there will be a revalue. When all is said and done there is nothing that is set in stone. This post is less about a revalue and more about other points. My thinking about the revalue has changed since I first read about it back in 2010. I am trying to convey my mind set at the time and how it changed. The only way to do this is to let the story unfold. You got to realize that new people are buying into this every day and they don’t know the difference between what a guru says and what the truth is. They feel all the same things I felt back in 2010 because they lack the basic information. This is the true reason for this story. Marcus, Look at the Iran/North Korea situation a little deeper, with what you know, would their rebellion against the Petrodollar be a more convincing threat to the USA than their Nuclear one? Marcus I was really disappointed when u and Scooter left DV byt I understand. Just missed u guys and followed your post every time u responded to articles. I want to know how u feel about this investment. I have been in it for 7 yrs and to this day listen to only a select few. Please respond ASAP. Thanks and have missed yours and Scooters comments.